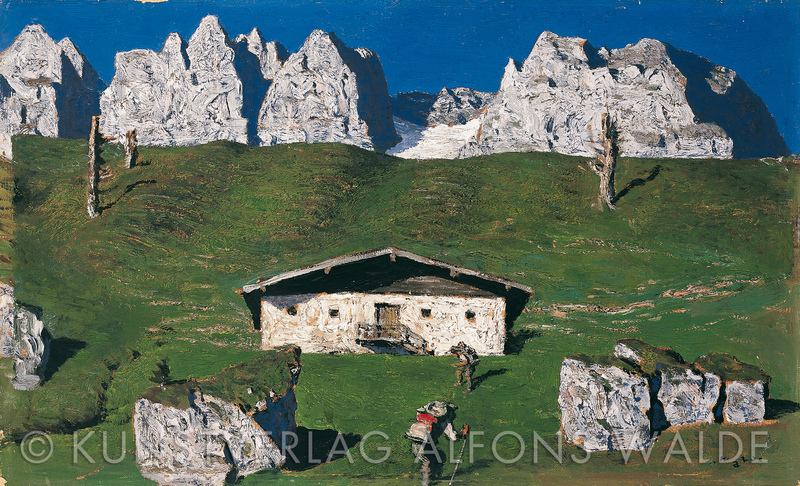 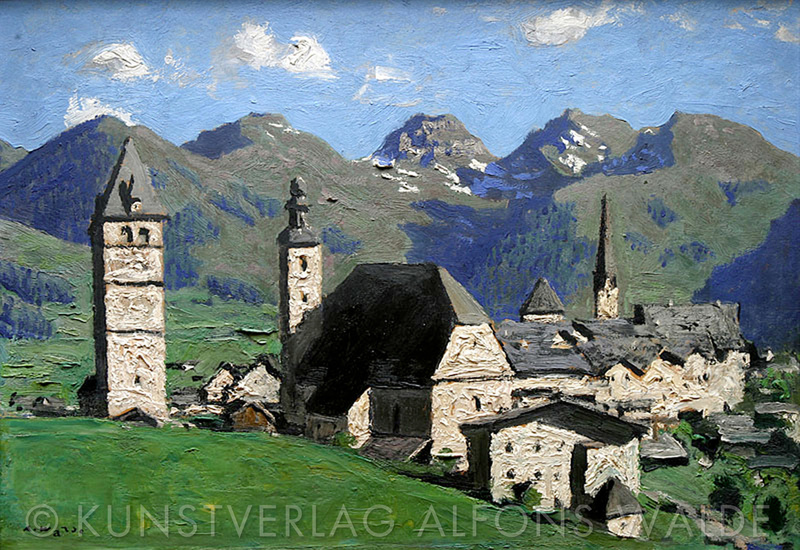 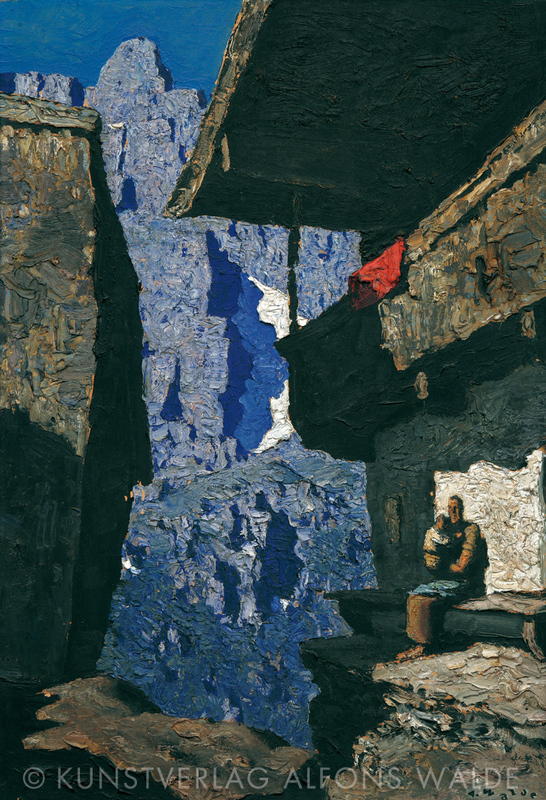 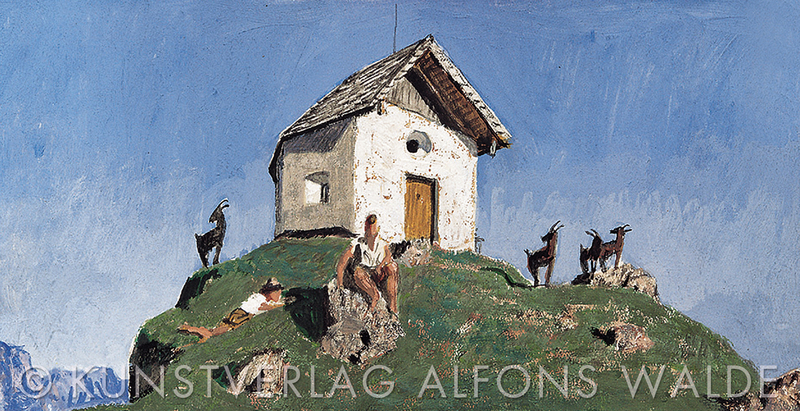 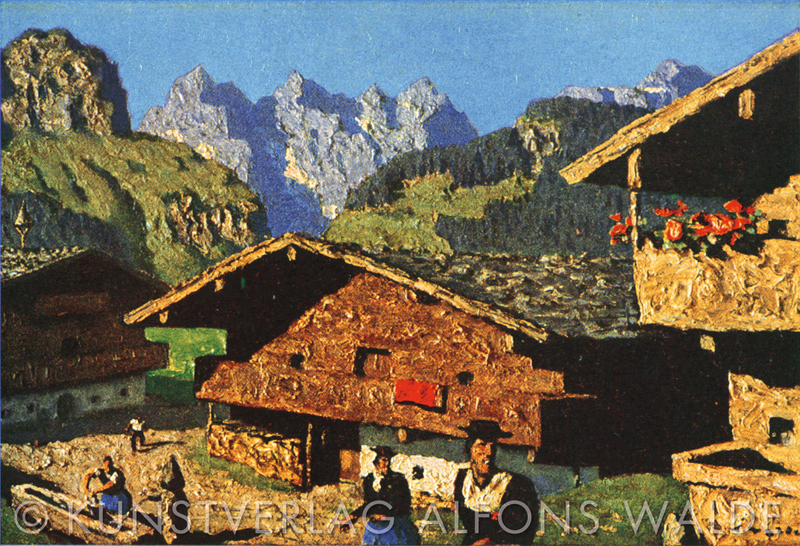 Alfons Walde was strongly influenced by his immediate surroundings: by the imposing natural landscapes of his native Tyrol most evidently so, but also through his exposure to the milieu and mentality of his native culture. 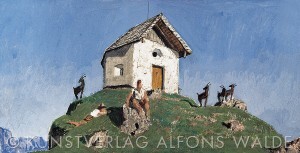 Both of these factors are clearly revealed in his work, particularly that of his later period. 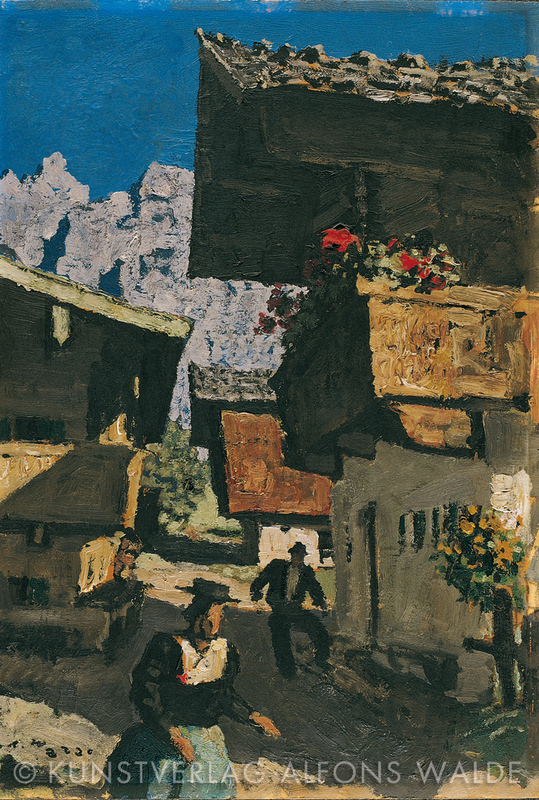 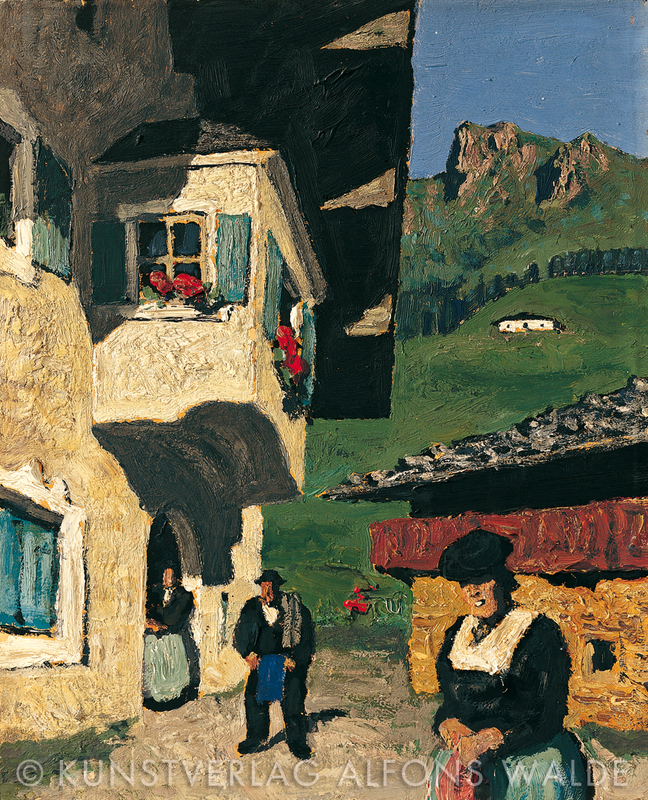 Regardless of the subject – be it imposing themes of the Kaisergebirge (a mountain range near Kitzbühel), the airiness of the higher mountains in summer, scenes of peasants in the villages, the almost friendly appearance of the mountains around Kitzbühel – Walde’s summer themes literally engulf the viewer in the mood of the settings that he recreated.